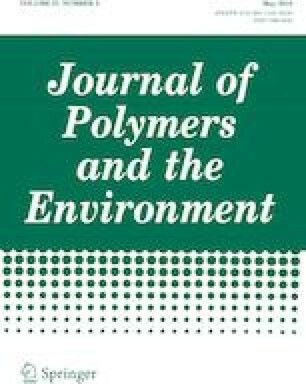 In this study, PBT/recycled-PET blends were developed using a twin-screw extruder. A commercial chain extender (Joncryl ADR 4468) was also used to melt mix with PBT/recycled-PET blend systems. Firstly, Joncryl at different loadings was extruded with recycled-PET to explore the influence of branching on melt behavior and crystallization of PET. The effect of blending recycled-PET with PBT on the final properties was then explored at different blending ratios (25w/75w, 50w/50w and 75w/25w). Similar blends were subsequently prepared while incorporating chain extender. Melt behavior, phase miscibility, crystallization behavior, solid viscoelastic properties, tensile and impact properties of the blends were eventually analyzed using differential scanning calorimeter (DSC), melt flow indexer (MFI), dynamic mechanical analyzer (DMA), and tensile and Izod notched impact testing, respectively. The results showed that the addition of chain extender increased the melt viscosity of PET and at the low contents enhanced the PET’s crystallization rate. On the other hand, the blends of PBT/recycled-PET are fully miscible in the amorphous region whereas the crystalline phases are immiscible subsequent to a fast cooling. The PBT and PET molecules could also co-crystallize and be fully miscible in crystalline phases upon slow cooling of the melt. Blending recycled-PET with PBT didn’t suppress the tensile properties of PBT, however it could enhance the PBT’s ductility and reduce its impact strength. The chain extender didn’t influence the mechanical properties much. The authors would like to thank to Arcelik A.S. and Central Research and Development Director Cem Kural, Materials Technologies Research and Development Department Manager Dr. Mustafa Sezer, Polymer & Chemistry Team Leader Dr. Yusuf Yusufoğlu, Research and Development Specialist Ceren Kovanci, Research and Development Technicians Metehan Cihangir and Sefa Yasin Uzen for supporting the research activities conducted in this study.